Western Dressage is so new that I keep getting asked the same question. The best of both worlds its so new and different. 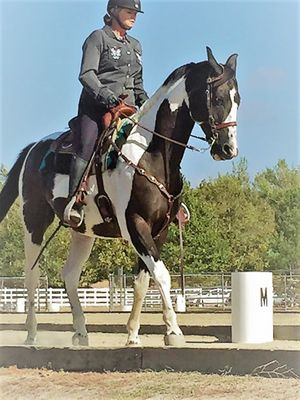 The mission is to give the western rider opportunities to enjoy the many benefits that progressive dressage training has to offer and to bring Western flavor to the sport of dressage. 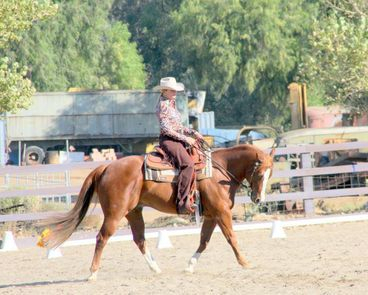 When combining Western horsemanship principles and classical dressage training to ride horses, we develop a well-rounded and balanced partnership. The fusion of these disciplines can yield a brave, well broke horse. 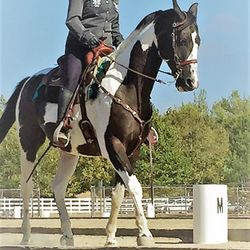 Western dressage involves using classical dressage concepts and principles to train and develop the western rider and horse. The goal is to develop balance, relaxation and the acceptance of the aids through the tried and true methods of classical dressage. 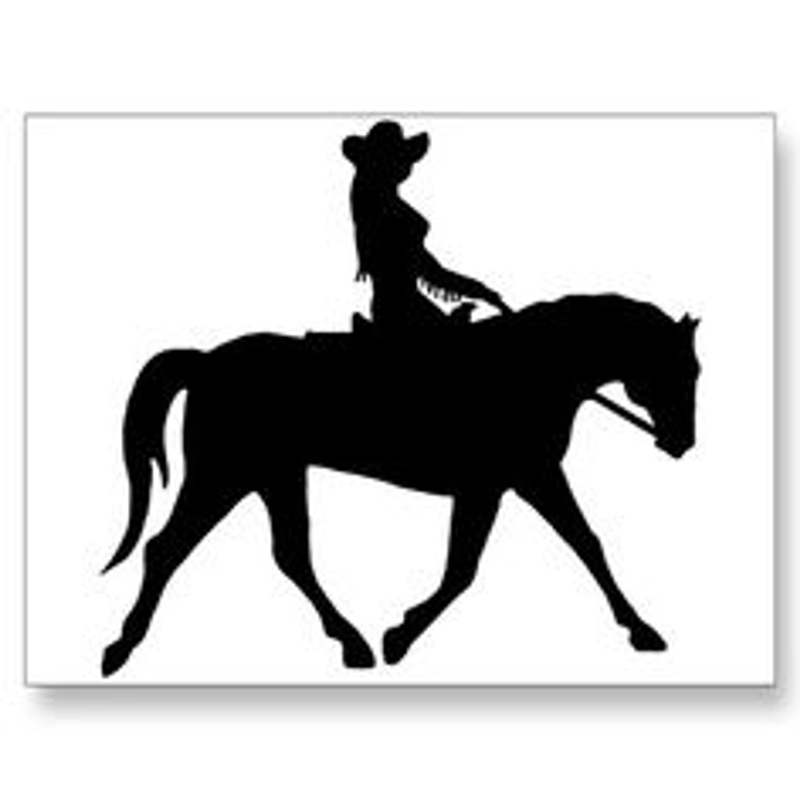 Western dressage is neither intended to train a dressage horse nor to put a western saddle on a dressage horse. It is merely the means by which we improve the horse and develop a well-rounded, disciplined horse regardless of its breed. This is an all-inclusive discipline. Western dressage helps to develop and provide progressive, methodical training and valuable feedback for the Western dressage rider. 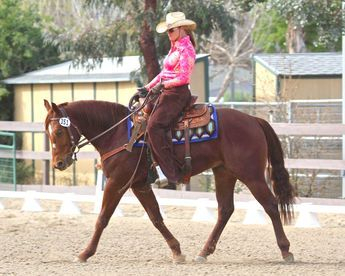 Western Dressage can pave the way toward building a solid lasting relationship between horse and rider. 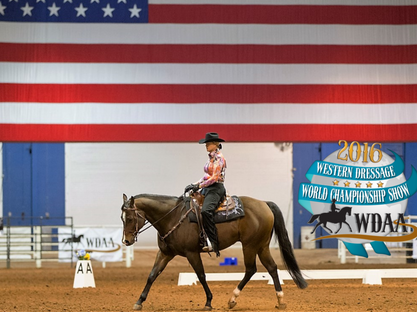 As Western dressage evolves, the hope is that it will bridge the gap between English and Western riders while preserving the integrity and quality of both. I have found it an interesting wrinkle that different colored horses are supposed to be paired with specific color combinations for show apparel. See how it can benefit you and your horse. 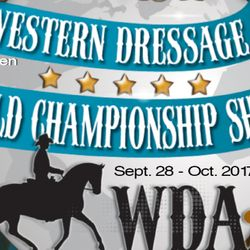 No matter if you are a trail rider, weekend show rider or serious competitor - western dressage has something to offer you. 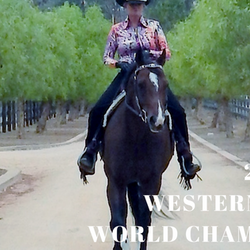 ARIA Certified Western Dressage . 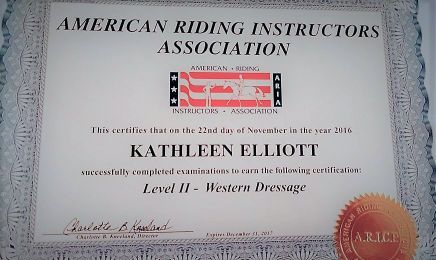 Kathleen is a proud graduate of train the trainers program offered by the WDAA. 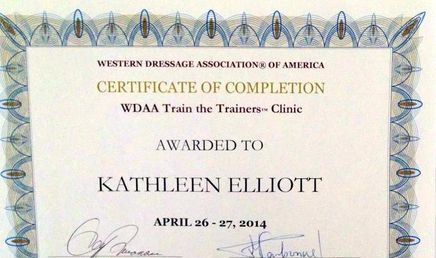 May 2014 Kathleen attended a Western Dressage Trainers program in Canada. 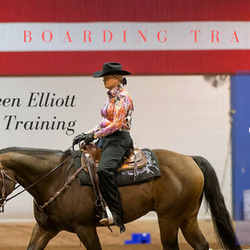 WDAA trains a small elite group of equine professionals who have taken the time and expense to become more educated about the new upcoming popular discipline Western Dressage.